The Bible says year after year Hannah made the 20 mile trek to go up to the tabernacle of the Lord with her family. To add insult to injury, Peninnah becomes part of this painful equation. The Bible says that they all went up to the Tabernacle year after year. ALL. (One big happy family). And instead of Peninnah comforting Hannah, she was vindictive. It says she taunted her cruelly. Peninnah had children but Hannah none. Peninnah is a regular baby making machine. Commentators believe she had six or seven children. The Bible speaks about all her sons and daughters. So Penninah must have been a part of this painful equation for at least eight to ten years. Year after year, Hannah would go up to worship the Lord, but guess what? Mean old Penninah went alongside of them. And I want to say this, just because people go to worship doesn’t make them worshippers. Sometimes people come to church to show off. Penninah was cruel and vindictive. And now, Shiloh the place where the Presence of the Lord is, the place that we’re supposed to go to get some sort of relief was just a reminder that she was barren. Her pain was not only confined in Ramathaim where she lived, but it followed her all the way to Shiloh. Shiloh should bring her relief, but everywhere she went–her pain was sure to go. 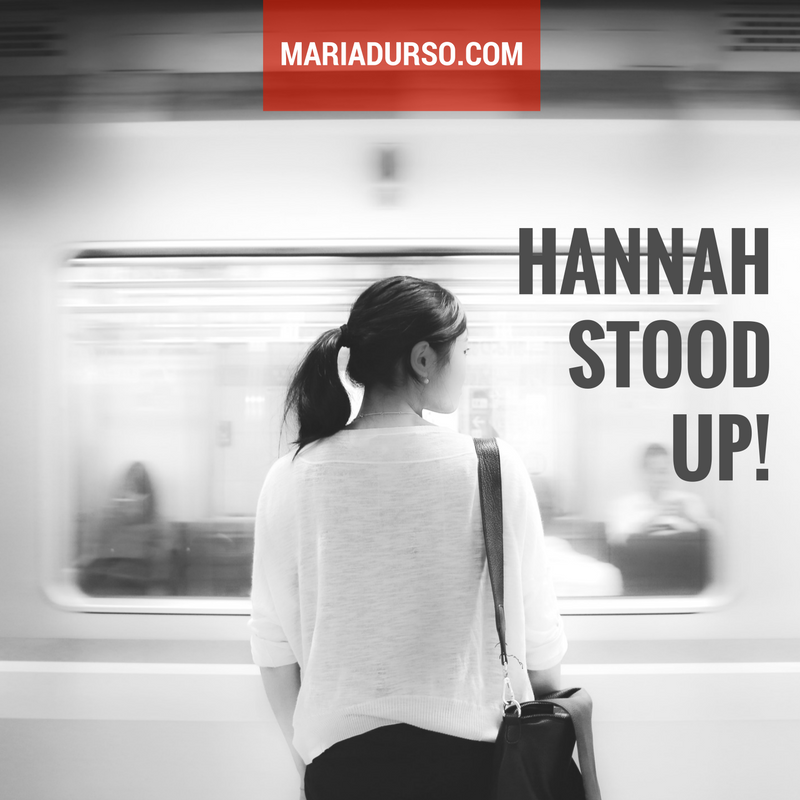 The Bible 1 Samuel 1:9b one day Hannah stood up. One day after all those years and all those tears Hannah stood up. She gets a sanctified aggression. She says enough is enough. One day faith replaced discouragement in Hannah’s life. One day a light went on. If God did it for Sarah and Rachel, God could do it for her. She runs into the Tabernacle, a place where women were not allowed to go. But isn’t it amazing that Eli the priest was sitting. Because he was sitting he misjudged Hannah’s cry. Side note: isn’t it true Satan loves when we’re sitting down when we should be standing up. He loves when we sit down and we have low expectations. He hates when we dare get out of our seat and get into the Presence of the Lord and take the authority we need to take. Hannah stops crying over what she doesn’t have, and she starts crying out for what she could have. Because she took a stand God gave her exceedingly and abundantly so much more than she could ask or think. Next week, I’ll share on my blog why destiny is the buzzword of the hour. Question: Do you believe it’s time to take a stand? If so, why?